Monday, April 25, 2016 marks the beginning of the next round of talks on the proposed Transatlantic Trade and Investment Partnership (TTIP). It comes the day after US President Barack Obama spoke in Germany at the Hannover Messe, the world’s largest industrial technology trade show. 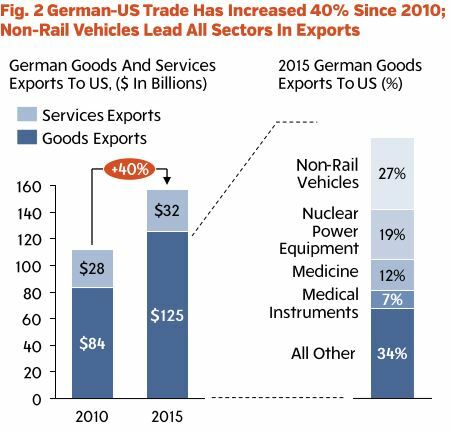 Obama’s visit underscores the strong (and ever-growing) trade relationship between Germany and the US. Germany in particular stands to benefit from a robust TTIP. Its economy is more export-driven than other EU countries, alone accounting for nearly one-quarter of all EU trade with the US. Meanwhile overall, TTIP presents a strong opportunity for the EU and US to forge even closer ties, setting the standard for transnational cooperation during a time when populism across the globe is challenging transnational relationships. However, talks over the TTIP agreement between the EU and US lack strong support within Europe’s largest economy. President Obama’s latest trip to Germany comes as opposition to the deal within the EU continues to dominate the conversation and news cycle on TTIP. As an example, in late March, 54 percent of media coverage featured solely negative commentary on TTIP. Comparatively, just 12 percent of media coverage only featured supporting commentary. Yet, analysis by the Centre for Economic Policy Research, a leading independent pan-European economic research organization, found the deal would increase the size of the EU economy by 0.5 percent of GDP and the US economy by 0.4 percent of GDP. This report examines the benefits of TTIP to Europe and, in particular, Germany. While critics continue to dominate the TTIP conversation, especially in Germany, the data suggests Germany stands to benefit from a robust agreement. The US is also the leading non-EU destination for German exports. Germany exported goods worth $125 billion to the US in 2015, compared to just $84 billion in 2010. Total trade in goods and services between the EU and US came to $878 billion last year, of which Germany’s share was 24 percent, or $207 billion. By addressing non-tariff barriers in motor vehicles and advanced manufacturing, Germany can grow high-value sectors. For motor vehicles, US NTBs raise costs for German exporters by nearly 30 percent of production costs. Germany has global banks and insurers, but US incentives to fight for a financial services chapter in TTIP are weak. The main challenge for including a financial services chapter in TTIP is the inevitable political battle with financial services critics like Sen. Elizabeth Warren. At the same time, US financial institutions face one-third the costs of exporting services to the EU as compared to their EU competitors. These factors combined reduces the incentive for the US to include a financial services chapter in the TTIP.